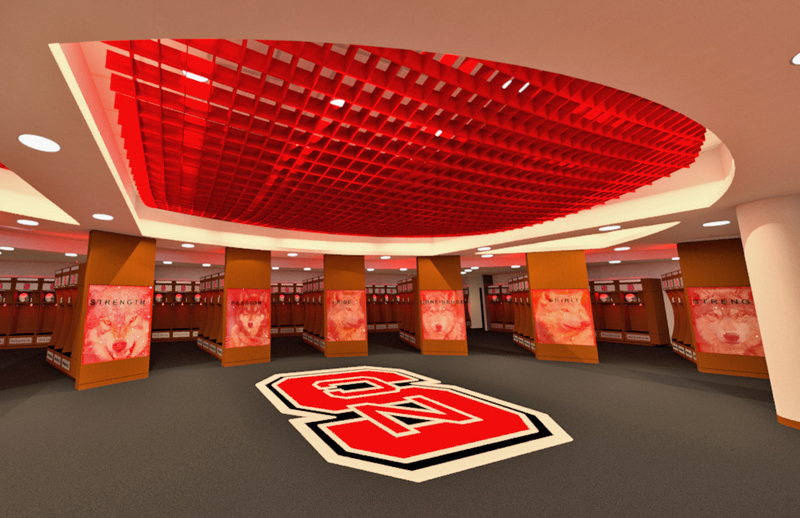 NC State Athletics wanted to renovate the existing Murphy Football Center locker room with an updated appearance and feel to appeal to the modern day collegiate athlete. The renovation began with a study and visioning, resulting in a computer-generated "fly through" 3D model of the proposed layout. The 3D images helped in NC State's final approval of a design concept. Renovation included over 4,700 square feet of space. Renovated spaces included new lockers, lighting, finishes, and state of the art audio/visual technology. New “wow-factor” graphics were also developed and installed as part of the project.